Madrid, Palacio Real, 1814-18 inv. no. 52. Paris, Le Paysage français (1925), cat. 349 (by Watteau, Vue prise dans le parc de Saint-Cloud, lent by Madrid, Museo del Prado). Bordeaux, L’Art européen (1979), 100, cat. 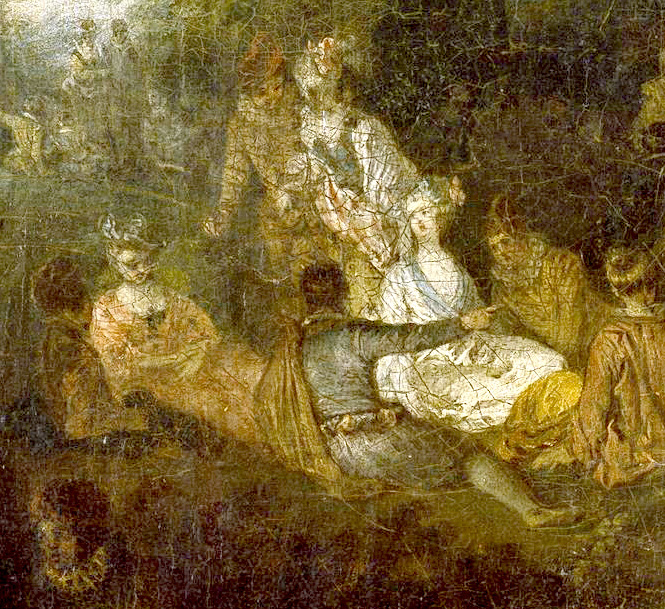 95 (by Watteau, Fête dans un parc, lent by Madrid, Museo del Prado). Washington, Paris, Berlin, Watteau 1684-1721 (1984), cat. 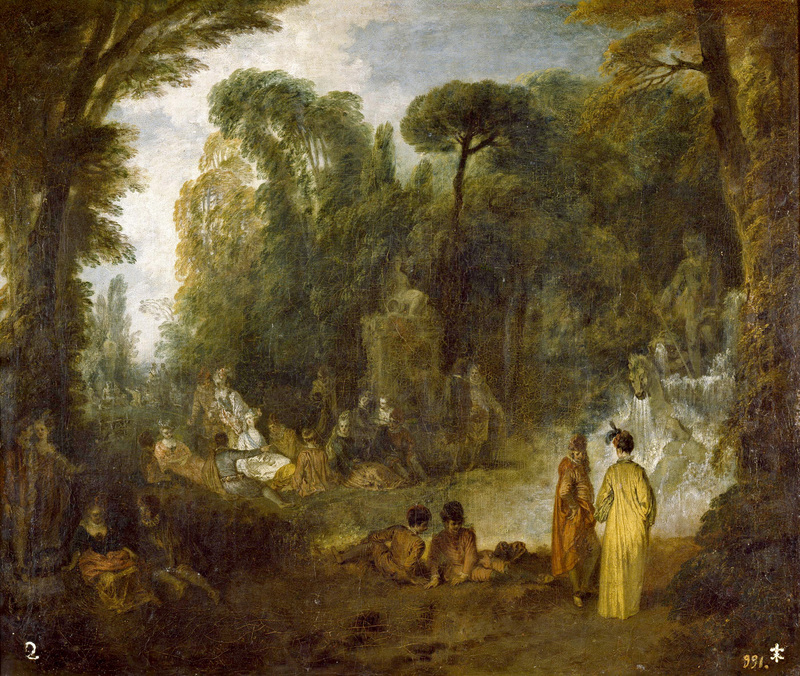 P22 (by Watteau, Gathering Near the Fountain of Neptune [Assemblée près de la fontaine de Neptune], lent by Madrid, Museo del Prado). Ponz, Viaje de España (1772-94), 10: 140. Eusebi, Noticias de los Cuadros (1828), cat. 538. Clément de Ris, Le Musée royal de Madrid (1859), 149. Blanc, Histoire des peintres. École française (1862-63), 2: 8. Lejeune, Guide théorique et pratique (1864-65), 1: 213. Goncourt, Catalogue raisonné (1875), cat. 991. Dussieux, Artistes français à l’étranger (1876), 382. Mabilleau, “La Peinture française” (1895), 418-19. Calvert, The Prado (1907), xvi. Ricketts, Art of the Prado (1907), 39-40. Madrazo, Catálogo de los cuadros (1910), 423. Zimmermann, Watteau (1912), pl. 9. Pilon, Watteau et son école (1912), 80. Madrazo, Catálogo de los cuadros (1920), 404. Dacier, Vuaflart, and Hérold, Jean de Jullienne et les graveurs (1921-29), 1: 171-72. Nicolle, “Watteau dans les musées d’Espagne” (1921), 147-50. Nicolle, La Peinture française (1925), 44. Réau, “Watteau” (1928), cat. 121. D’Ors, Trois heures (1928), 40. Guiffrey, “Le Peintre-graveur Quillard” (1929), 70-73. Hevesy, “Amico di Watteau” (1929), 542. Miller, “Autour de Watteau” (1930), 135-36, 141-46. 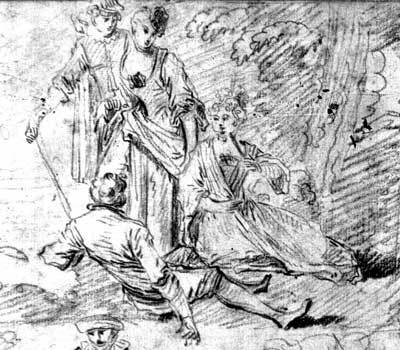 Parker, Drawings of Watteau (1931), 41. Alvin-Beaumont, Le Pedigree (1932), 60-63, 70-95. Madrid, Prado, Catálogo (1933), 506. Mathey, “A Propos d’un catalogue” (1938), 162-65. Sánchez Cotán, El museo del Prado (1949), 16. Adhémar, Watteau (1950), cat. 135. Sánchez Cotán, Prado Museum (1951), 26. Sánchez Cotán, Museo del Prado (1952), 740. Buendia, “Goya, Watteau” (1955), 248. Gaya Nuño, Historia y guía (1955), 400. Mathey and Nordenfalk, “Watteau and Oppenort” (1955), 139. Parker and Mathey, Watteau, son oeuvre dessiné (1957), cat. nos. 25, 49, 74, 135, 193. Mathey, Watteau, peintures réapparues (1959), 38-40, 67, cat. 93. Sánchez Cotán, Trésors (1959), 29. Bottineau, L’Art de cour (1960), 461. Madrid, Prado, Catálogo (1963), 776. Eidelberg, “Watteau, Lancret, and the Fountains” (1968), 455. Macchia and Montagni, L’opera completa di Watteau (1968), cat. 95. Eidelberg, “Quillard, Assistant to Watteau” (1970), 49-53, 59, 66-67. Ferré, Watteau, 1972, 3: 964-65, cat. A8. Lemagny, “Quillard” (1976), 209, 211. Banks, “Watteau and the North” (1977), 177. Rosenberg, Pitture francese (1977), 186. Luca de Tena and Mena, Guide to the Prado (1980), 281. Posner, Watteau (1984), 278 n. 23, 284 n. 8. Blanch, Chef-d’oeuvre du Prado (1991), cat. 262. Blanch, Museo del Prado (1992), 12. Eidelberg, "Watteau's Italian Reveries" (1995), 128-30. Rosenberg and Prat, Watteau, Catalogue raisonné des dessins (1996), cat. 23, 91, 121, 132, 163, R808. Madrid, Prado, Catálogo de las pinturas (1996), 446. Luna and Úbeda, Pintura Europea (1997), 48. Temperini, Watteau (2002), 46, cat. 35. Blanch, The Prado Museum (2008), 365, 376. Eidelberg, Rêveries italiennes (2015), 69-70. Watteau, Sheet of studies, red chalk, 16.5 x 20.5 cm. New York, Morgan Library & Museum. 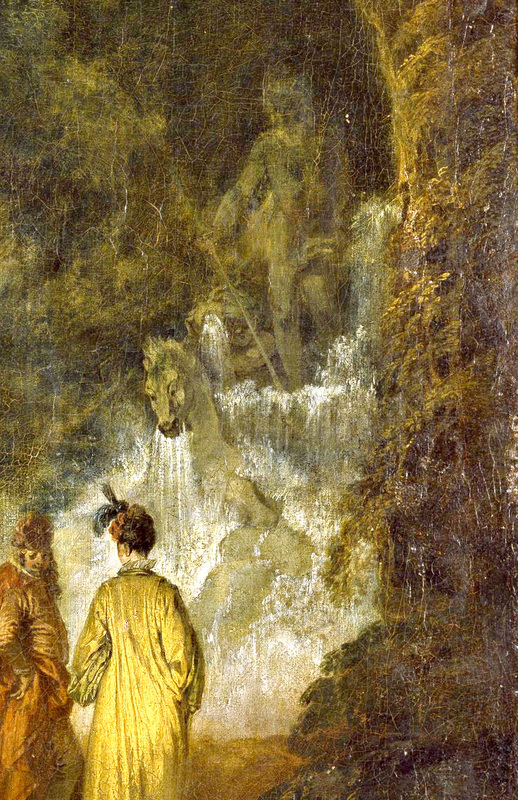 Watteau and Quillard, L’Assemblée près d’une fontaine de Neptune (detail). Very few of the figures in L’Assemblée près d’une fontaine de Neptune can be linked with extant drawings. 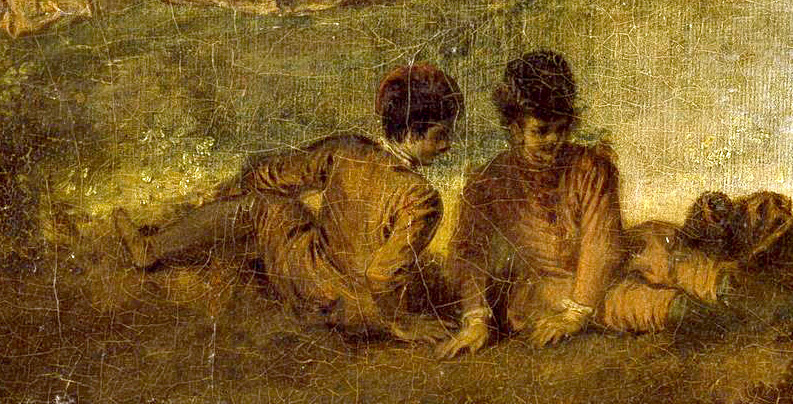 A striking example is the two young men in the central foreground of the painting. They were derived from a sheet of studies in the Morgan Library and Museum (Rosenberg and Prat 23). When Watteau transposed the two men to the canvas he inverted their positions, so that they face each other rather than look in opposite directions. It was a clever move, endowing the pair with a touching relationship. 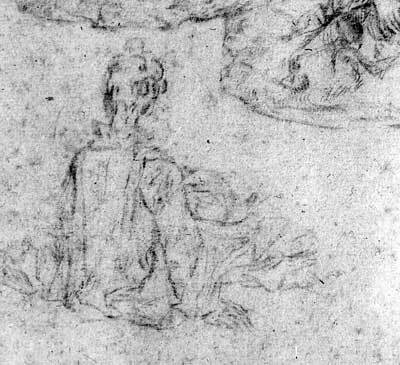 Watteau, Four Studies of Seated Women (detail), red chalk counterproof. Stockholm, Nationalmuseum. 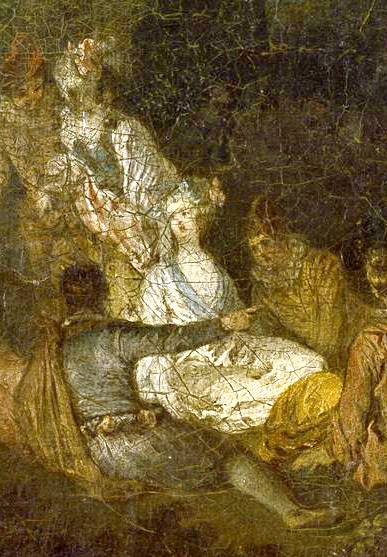 One of the women seated on the grass in the middle ground of the painting, her back to us, her hand resting on the ground, was derived from a drawing no longer extant but which is recorded on the counterproof of a sheet of studies that Watteau sold to Count Tessin in 1715 (Rosenberg and Prat 121). Surely, though, the other principal figures in this extensive composition must also have been derived from separate studies from the model, studies that have not survived. 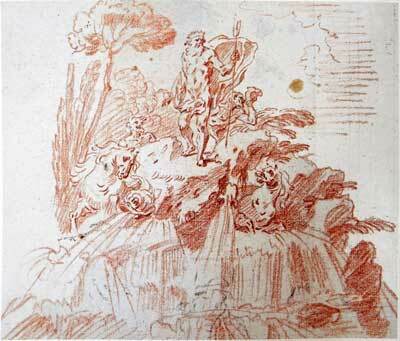 Gilles Maries Oppenort, Fountain with Neptune, red chalk, 30 x 20 cm. Stockholm, Nationalmuseum. The painting’s dramatic, highly Baroque fountain of Neptune owes its conception to Oppenort, Watteau’s close friend. Oppenort had been in Rome in the late seventeenth century and was impressed by Bernini’s modern and inventive sculpture, and made a great many designs highly indebted to the Italian. 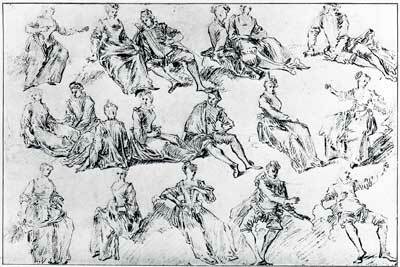 Watteau had a great many of these drawings and he showed them to the Swedish count Tessin on June 13, 1715. After Watteau’s death, the drawings passed to the abbé Haranger and then to Carl Johan Cronstedt who brought them back to Sweden. In 1955 Mathey and Nordenfalk sought to attribute the drawings to Watteau but I restored them to Oppenord a little more than a decade later and this opinion has prevailed. However, this does not mean Watteau was untouched by these studies. Quite the contrary, as is shown in this instance and in other fêtes galantes, he emulated his friend's renderings of sculptural fountains. L’Assemblée près d’une fontaine de Neptune and its pendant, Le Contrat de marriage, have been together since the eighteenth century and have a remarkably long common provenance. Nonetheless, some questions have been raised. In 1980, Luca de Tena and Mena denied that the paintings were ever pendants but without explaining why, a strange state of affairs for two pictures that have been paired for over two centuries. Likewise, in 1984 Rosenberg questioned whether they were conceived as pendants. Because a band of several centimeters was added to the bottom edge of L’Assemblée près d’une fontaine de Neptune, and because he perceived a stylistic difference between the two works, with L’Assemblée being painted later, he believed that the paintings were not planned together. Yet if centimeters had to be added at the bottom of L’Assemblée près d’une statue de Neptune to make it match Le Contrat, this implies that the latter painting already existed and L’Assemblée was later. However, in all likelihood, the two works were painted at approximately the same time. They share a distinct bond: both were largely executed by the master, but his assistant, Quillard, painted some of the subsidiary figures in the middle ground. This very much suggests that they were contemporaneous with each other. The date assigned to L’Assemblée près d’une statue de Neptune has varied from scholar to scholar. Roland Michel suggested 1710-12, Mathey as well as Luna and Úbeda, suggested 1712-13, I presumed a date of c. 1712-14, Rosenberg implied a date of c. 1714-15, and Adhémar associated it with 1715. Temperini encompassed all these proposals with a date of c. 1712-16. In short, there is a general consensus that the painting was executed at a midpoint in Watteau’s career, a few years before the Louvre Pélerinage. 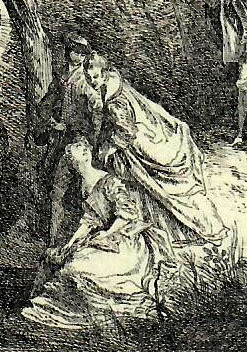 Charles Nicolas Cochin after Watteau, Le Bosquet de Bacchus (detail, reversed to the original direction of the painting), engraving. Philippe Mercier, Fête galante (detail), oil on canvas. Valenciennes, Musée des beaux-arts. The two Madrid pictures were consistently thought to be by Watteau until the 1920s when the Louvre bought two paintings attributed to Watteau but were subsequently proven to be by Antoine Quillard (La Plantation du mai and La Danse champêtre). Once the issue of Quillard’s oeuvre came to the fore, strong words were exchanged, particularly between French and Portuguese art historians. The two Prado paintings entered the controversy when Dacier, Vuaflart, and Hérold suggested that they too should be attributed to Quillard. They recognized the close relation to Watteau, and inaccurately claimed that L’Assemblée près d’une fontaine de Neptune was largely based on Watteau’s Le Bosquet de Bacchus; in truth, the bond is restricted to the middle-ground figures. They also considered a fête galante in the Valenciennes Musée des beaux-arts showing the same group of figures and which was then believed to be by Watteau. It is now thought to have been executed by Philippe Mercier. Antoine Quillard, Sheet with Four Compositional Studies (detail), red chalk. Chatsworth, collection of the Duke of Devonshire. 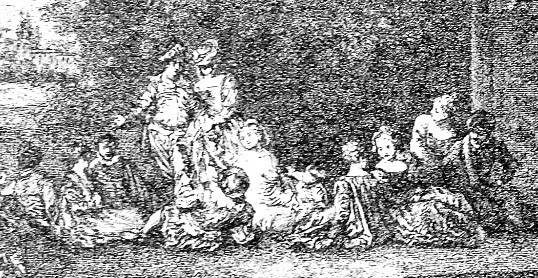 Most important, Dacier, Vuaflart, and Hérold noted that this same group of figures is closely related to a compositional study in one of several drawings at Chatsworth that were re-attributed to Quillard (Rosenberg and Prat R113). Even the painting’s Iberian provenance was seen as a possible affirmation of Quillard’s authorship. Very similar ideas were expressed at the same time by Jean Guiffrey and were repeated by de Hevesy. Counterarguments were published soon thereafter by Valentin Miller, curator of French painting at The Hermitage. In addition, Jacques Mathey presented then-unknown Watteau drawings for the Madrid paintings, reaffirming the attribution of the paintings to the master. In the postwar years, most scholars, including Adhémar, continued the traditional attribution to Watteau, without mentioning any association with Quillard. Antoine Quillard, Amusements champêtres (detail), etching. In 1970, as part of my study of Quillard and his relationship with Watteau, I proposed that the Madrid paintings had been executed jointly by the two artists and in a manner reflecting their relative positions. The principal figures, those in the foreground, are excellently painted and correspond in every nuance to Watteau’s style. On the other hand, the figures in the middle ground are quite different and correspond to Quillard’s manner. The flickering brushwork and nervous poses are characteristic of his style, not Watteau’s. They should be compared, for example, with similarly posed figures in one of Quillard’s etchings, Amusemens champêtres or, as it is also known, La Leçon de chant. The upturned face and extended neck of the woman and the perilous incline of the strolling couple are identical in the two works. In contrast, the same figures in Le Bosquet de Bacchus and the painting in Valenciennes are more stable and more conventionally proportioned. The differences between these two artists are so strong that one can only wonder why scholars have not acknowledged them. 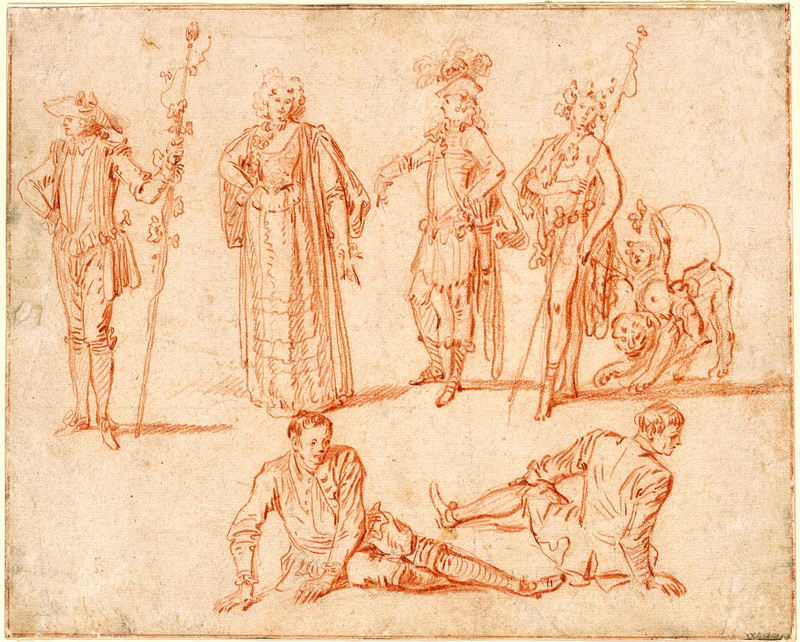 Pierre Antoine Quillard, Sheet of Studies after Watteau, red chalk, 21 x 32 cm. Whereabouts unknown. The connection between Quillard and L’Assemblée près d’une fontaine de Neptune is reinforced by another of his drawings, one that has yet to enter the discussion. In its structure it resembles some of the drawings at Chatsworth and elsewhere, and its figures are direct copies or free variations after motifs by Watteau. 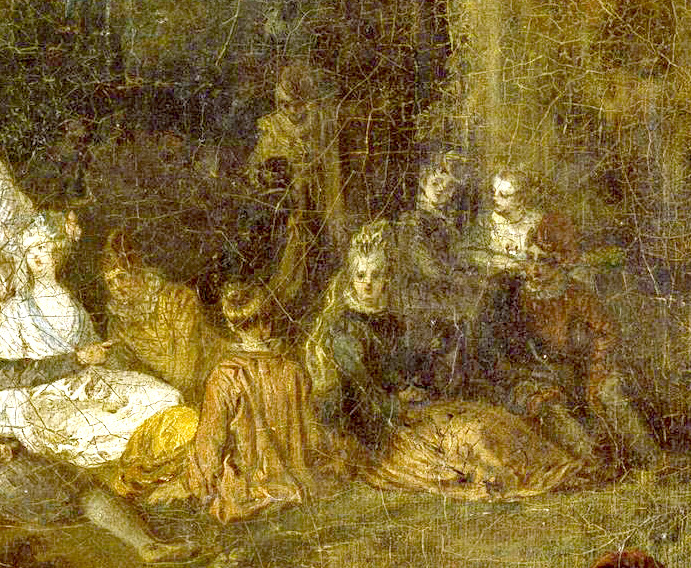 The figure in the top row at the right corresponds to the young man in the foreground of the painting, and the group of five figures at the left of the middle row, especially the woman seen from behind, echo the group at the center of the painting. 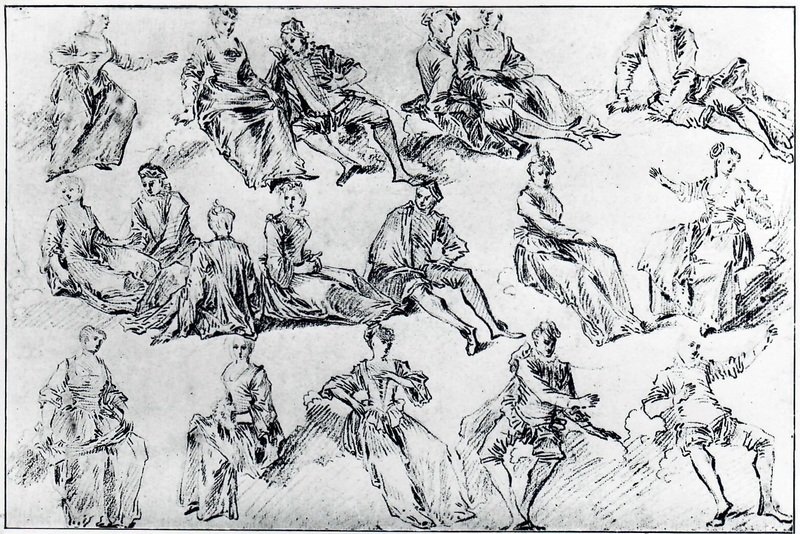 While I previously had thought that such Quillard sketches were done after Watteau drawings, it now seems more likely that many of them are free variations after his master’s paintings (a notion suggested as well by Quillard’s studies after La Promenade sur les remparts, to be discussed below). Accepting that the Madrid pendants are the work of both painters and that Quillard was an assistant in Watteau’s shop has not been easy for most scholars. 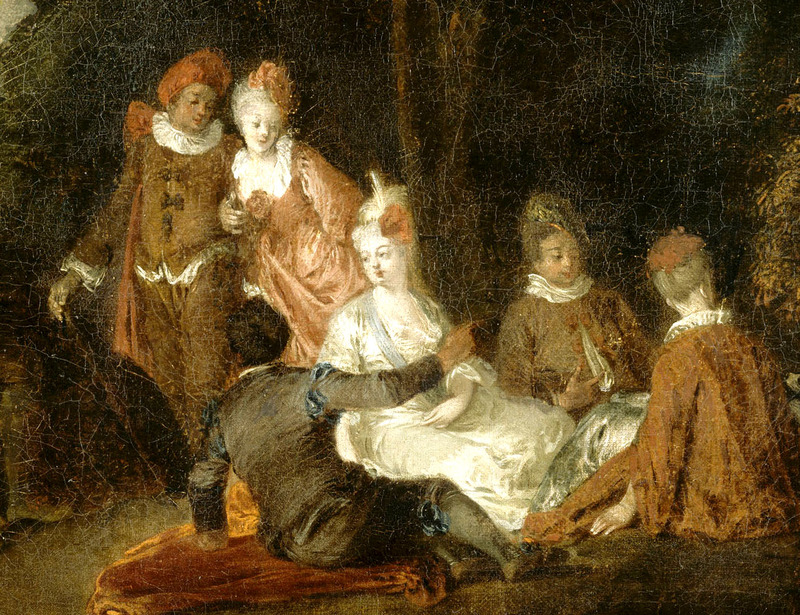 Ferré, Glorieux, and Temperini still continued to list the painting under Watteau’s name alone. Likewise, the Prado still cites only Watteau’s name, without any mention of Quillard. Posner, at the other extreme, dismissed the two Madrid paintings as “later imitations,” but without naming the imitator. Some have recognized my “theory” that Quillard participated in the execution of the Madrid paintings but have remained noncommittal about accepting the notion. In 1977 Rosenberg attributed the Madrid paintings to Quillard, but in 1984 he listed them under Watteau’s name with recognition that they had previously been attributed, in toto and in part, to Quillard. An interesting exception to this standoff occurred in 2004 when Roland Michel had the opportunity to see the Madrid Contrat de mariage in bright light at the Valenciennes exhibition of Watteau et la fête galante. At that time, she spontaneously exclaimed, almost involuntarily, that the figures in the middle ground were by Quillard. In the late nineteenth century and through much of the twentieth, the title assigned to this painting identified the landscape as representing the gardens of Saint Cloud outside of Paris. However, although that park was renowned for some of its fountains, especially the Grand Cascade, it did not have the impressive Neptune fountain portrayed by Watteau. As explained above, that fountain was probably inspired by an Oppenord drawing. I have demonstrated elsewhere, especially in the exhibition catalogue Reveries italiens, that Watteau was particularly enamored of the Italian landscape. Not only the Roman-style fountain but also the prominent umbrella pine tree proclaim his intent to create a Mediterranean setting, not a French royal park.